Tips To Sell Your Las Vegas House Fast! When choosing to sell a house in Las Vegas, you’ll likely want the process to take as little time as possible. After all, time is money, right? The longer it takes to sell, the more it ends up costing you in the long run. Utility bills, taxes, and insurance payments only stop once the sale is finalized. 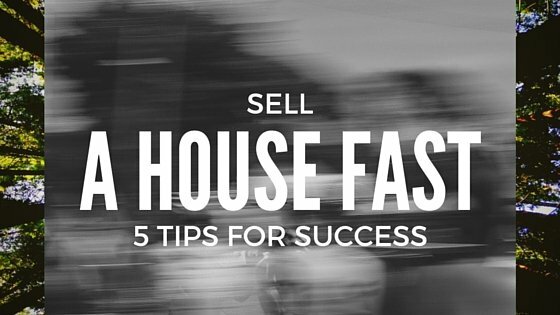 5 proven tips to sell your home faster in Las Vegas! Seriously. You’re moving into a new home anyway, so pack up now. Before you list, advertise, or have a single showing, box up and store EVERYTHING that isn’t vital. People viewing your home will consciously (or subconsciously) be turned off by clutter and items that appear too personal in a home. The will feel as if they are intruding on your space, and will never fully be able to picture themselves living in the house. After you’ve removed all of your belongings, make sure that you have your home professionally cleaned. As far as decor, keep it neutral. Consider hiring a professional Las Vegas stager to add the right touches to your house. The majority of people are shopping online for their next home. That means you have to capture their attention in only a matter of seconds. People scroll right past a house with bad or sub-par photos. The pictures you use in your ad should present the house in the best possible light. Consider renting a wide angle lens, or hiring a professional photographer to help you get the right shots. Any fees you encounter are well worth it in the end. When a person buys a home, they aren’t just buying the structure, they are buying the location and lifestyle. Showcase ALL of the things that make your neighborhood unique and inviting. Put together a packet to give to people viewing your house. Include information about recreational activities, restaurants and commute times. Let them know about parks, lakes, and anything you love about the area yourself. Is the neighborhood tightly knit? Block parties and holiday events? Make sure to highlight that as well! Most people are looking for a great home in a wonderful atmosphere. Be the ultimate guide to what the best of Las Vegas area is. This tactic can be just as important as highlighting the home itself!